Feeling brave? Start with the 3 lane Astra slide & finish with the drop slides; not for the faint hearted! Open every day 10-7pm. This outdoor area with sand & water activities as well as climbing frames & wobble boards. Open every day 10-7pm. This miniature play area is designed for visitors under the age of 4 years and includes its very own bouncy castle! Open every day 10-7pm. Swerve to the left, move to the right, after a few circuits’ children will soon master the controls. For smaller children there is room for mum or dad to join in the fun. Open 3-7pm term time, 10-7pm weekends & school holidays. The Canon Arena is great entertainment for all ages and is now above the skate rink; the twist is can you hit all the targets?? Open every day 10-7pm. 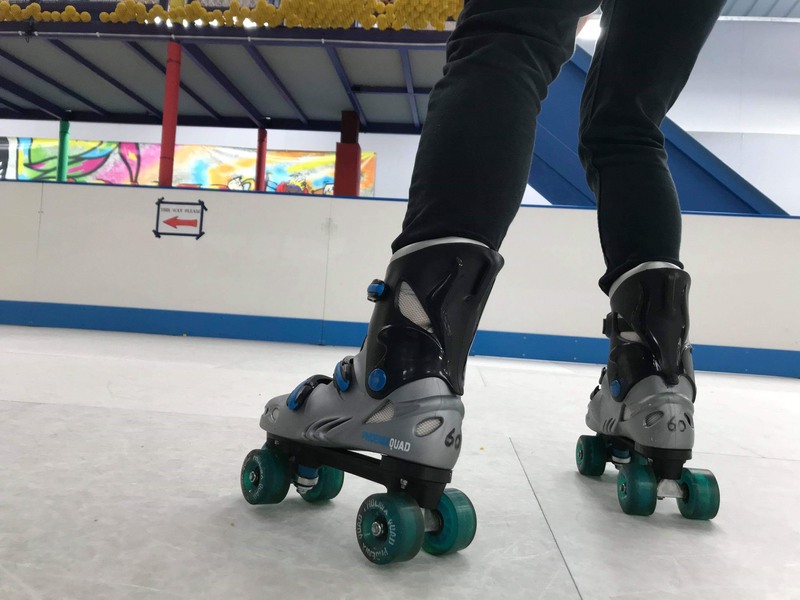 Roller skating is fun for all ages, a real family experience; open weekends & school holidays only, children must be over 1m in height for this activity. 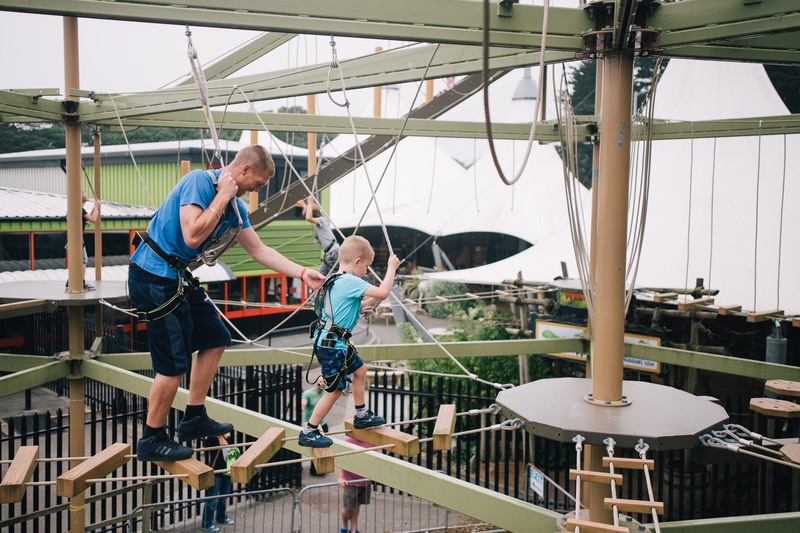 If it’s an adrenaline rush you’re after then it doesn’t get better than the Sky Trail. This is the ultimate high wire experience providing wannabe climbers with both high-level thrills & challenges. Open weekends & school holidays only. Children must be over 5 years of age; over 1m in height & wear closed toed shoes. Bounce, bounce, bounce until your heart in content on this fabulous addition to Kidzworld. Restricted opening time during the term time. Children must be over 1m in height for this activity. 12 holes of fun and interaction with this jungle themed mini golf course. Challenge mum & dad or even granny to see who wins this holey game! Open every day 10-6pm. Always a favourite – once you’re in you won’t want to come out! Open every day 10-7pm. Food & drink available all day in our 5* rated café. Hot food service finishes at 5.30 with drinks & snacks served through to 6.45pm.